Strategic investors in tourism-casino complex will have to commit an investment of some US$1 billion for a casino project. This is mentioned in the latest draft on law on special administrative-economic zones in Van Don, Bac Van Phong and Phu Quoc. The new regulation has been added to the draft law to ensure that investors are capable of spending money to implement the casino project, reports baodautu.vn. According to the draft law, strategic investors who invest in service, tourism and entertainment-casino complex should have a minimum investment capital scale of VND44 trillion ($1.92 billion), half of which must be paid for the casino project. The disbursement will be conducted following a committed process, but not exceeding eight years of the investment registration certificate being issued. The draft law also adds several criteria for strategic investors on capital, disbursement as well as regulations relevant to financial capacity and the investors’ administration. They will have to commit in written for application and transfer of new and advanced technology, training and human resource development. According to the Ministry of Planning and Investment — the architect of the draft law — after reviewing the law, it will supplement jobs with business conditions in the special administrative-economic zones instead of the 108 areas in the previous draft law. However, the investment and business procedures will be adjusted for simplicity and transparency. The draft law focuses on contents to evaluate projects and shorten the time of granting investment certificate. As per the draft, chairmen of the special administrative-economic zones will have the right to evaluate and grant investment registration certificates for projects. Only casino projects will be decided by the National Assembly. The draft law is aimed at creating a legal framework for the development of three special administrative-economic units, including Bac Van Phong in central coatal Khanh Hoa Province, Van Don in the northern province of Quang Ninh and Phu Quoc in the southern province of Kien Giang. Bac Van Phong is estimated to need more than VND100 trillion to develop its infrastructure by 2025. The zone will focus on developing marine transport, logistics, trade and financial services as well as tourism, healthcare, education services and hi-tech industries. Van Don is expected to become a green coastal city and an example of climate change response in the region. Quang Ninh has employed Arcadis & Callison RTKL Company, which has branches in the United States, the Netherlands and some other countries, to prepare the master plan. 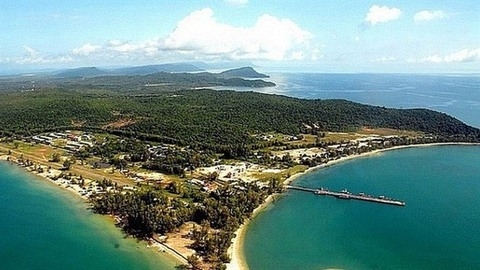 Meanwhile, Phu Quoc is expected to become a modern tourism and resort hub as well as a hub for trade, exhibitions and meetings, with international competitiveness targeting global reach.